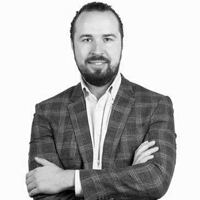 Ivan is one of the two founders of the cryptocurrency exchange that became the leading one across the territory of Eastern Europe and Central Asia. He is a Blockchain enthusiast and a passionate entrepreneur keen on the latest technologies and crypto. Ranked #1 in Russia, Ukraine and Eastern Europe, founded in 2013 and based in London, Kiev and Moscow, EXMO is one of the world’s largest global exchanges in volume and liquidity. The platform has 1.5 mln users, $ 46 000 000-50 000 000 approximate volume of trades, 5 fiat currencies.